TraderXP is offering a one-time gift of a 40% Free Bonus to a select few traders who sign up to trade options on their platform this week in honor of the release of the the US Nonfarm Payrolls (NFP). 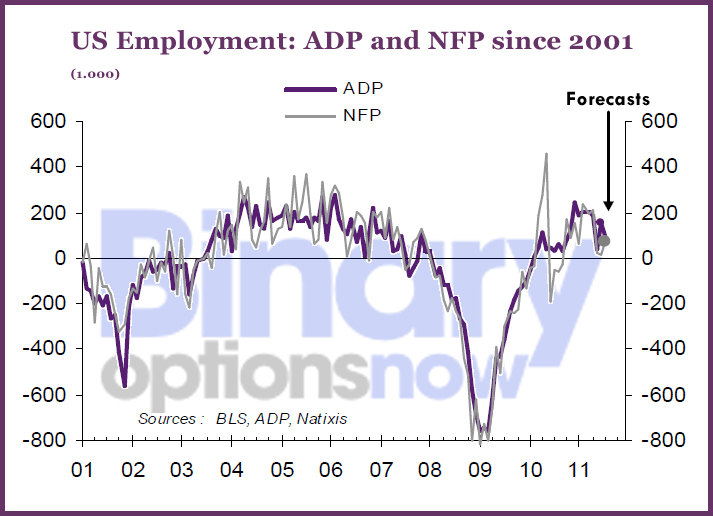 The NFP are without a doubt one of the most important economic indicators for the US labor market. If this important employment report is above or below estimates, it can have a powerful effect on the global financial markets and on equity markets in particular. The Nonfarm Payrolls is a major economic indicator that measures the change in the number of employed people during the last month of all non-farming businesses. Its total accounts for approximately 80% of the workers who produce the entire gross domestic product of the United States and as such it is perhaps the most influential statistic on the US labor market. The previous Nonfarm Payrolls figure released on July 8th was 18K – which was very negative since analysts had forecasted 89K – and had a very strong impact on the EUR/USD and GBP/USD (click here to see forex charts following previous nonfarm payrolls release). According to Natixis, the forecast this month is for a figure of 70K, while Forexpros expects a figure rather around 95K. A higher than expected Nonfarm Payrolls number could indicate that the US economy is strengthening and, in that case, a PUT on an EUR/USD binary option, for example, executed at or around the release of this data could take advantage of this positive US dollar indicator and finish in-the-money. A lower than expected result, on the other hand, could allow for prime conditions to invest in a CALL on a EUR/USD binary option. In honor of this month’s NFP, TraderXp is awarding an extraordinarily high trading bonus of 40% to the first twenty traders who deposit a minimum of one thousand dollars or euros as well as a dedicated account manager to consult with while trading. New traders who sign up to TraderXP will not only benefit from a larger balance to make bigger trades, but they will also receive assistance from TraderXP analysts to help make the right decisions when investing in the markets. Do not miss this promotion and claim your 40% Bonus before the end of the week. Remember, the financial markets are constantly being influenced by myriad factors so there is no guarantee that this strategy will always work in your favor. However, when used appropriately, a binary options investment may allow traders to profit from market fluctuations caused as a result of the release of sensitive economic information such as the ADP report.